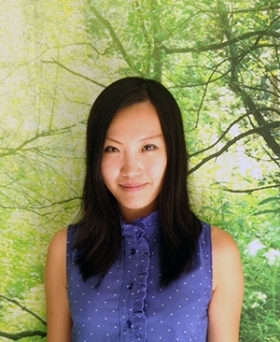 Gainesville, Fla. – Zifei (Fay) Chen, a doctoral student at the University of Miami, has won the prestigious 2015 Ketchum Excellence in Public Relations Research Award, now known as the Don Bartholomew Award for Excellence in Public Relations Research. Sponsored by the Institute for Public Relations (IPR) and Ketchum Global Research & Analytics, the program selects a qualified graduate student to intern at Ketchum’s New York City offices for a hands-on work experience. At the end of her internship, Chen will write a research paper examining how spokesperson credibility, response strategy and message intensity interactively affect crisis communication outcomes. Chen will begin her 10-week research internship this summer. Chen is currently a doctoral student at the School of Communication, University of Miami. Chen completed her M.A. in journalism and mass communication from the Grady College of Journalism and Mass Communication at University of Georgia. The award has been renamed this year after Don Bartholomew, in recognition of his leadership in the field of public relations and his passion for teaching the practice to others. Don Bartholomew is a senior communications veteran at Ketchum who has worked for and with significant consumer and B2B brands across product marketing, marketing communications, advertising, public relations, social media, research, digital analytics and measurement. He is one of the authors of the industry’s measurement approach to social media adopted at last year’s International Measurement Summit in Amsterdam. Bartholomew also was recently recognized for his contribution to the IPR’s Measurement Commission by being elected to emeritus status. Bartholomew’s blog, MetricsMan, is one of the most respected and widely read blogs in the measurement community. He was elected to the PRNews Measurement Hall of Fame in 2014. Ketchum Global Research & Analytics (KGRA) is an award-winning global team and the largest agency research group in the PR industry. KGRA uses innovative quantitative and qualitative research in all phases of brand marketing, corporate reputation and employee engagement for a wide array of clients around the world. IPR is thrilled the award has been renamed for your brother. His passion for measurement and dedication to the field has made a tremendous impact on our profession. We are grateful for Don’s service and work on the IPR Measurement Commission. This award helps the next generation of researchers, like Fay Chen, who will continue Don’s great work in the field. Thank You to Ketchum and IPR for naming this prestigious award after my brother it means so much to me and the rest of the Bartholomew family!